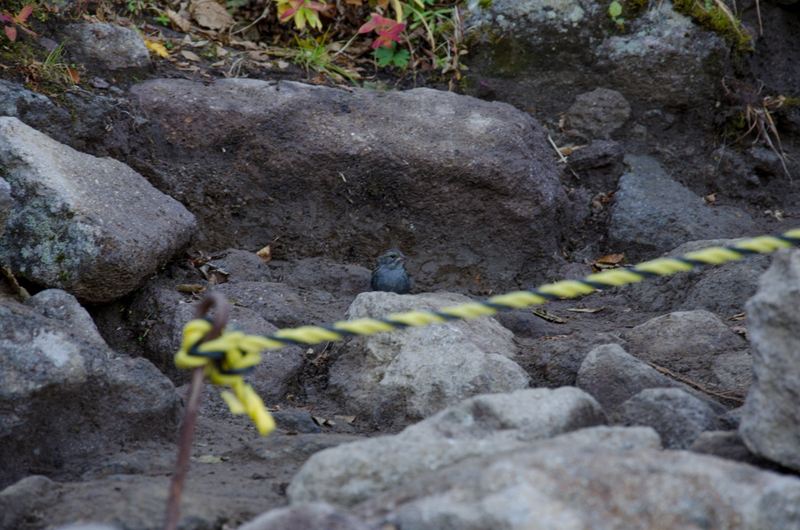 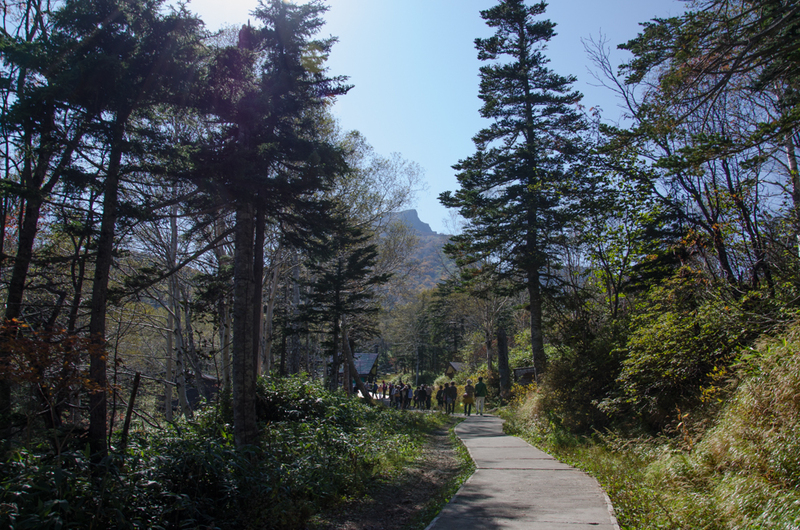 23 September 2015 was the best day for climbing Mt.Kurodake. 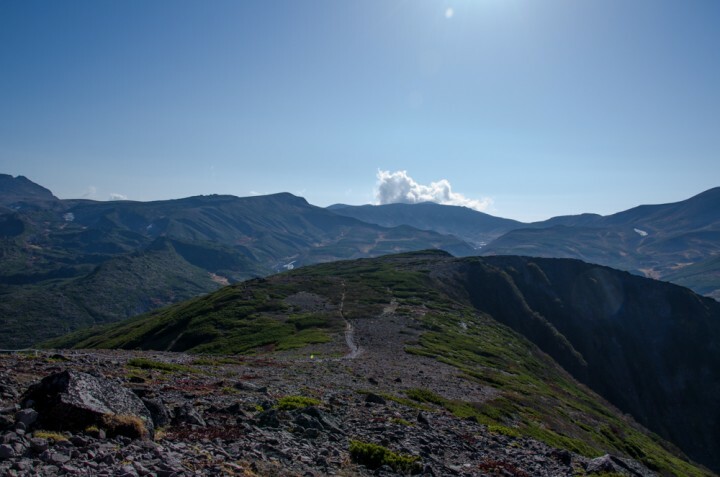 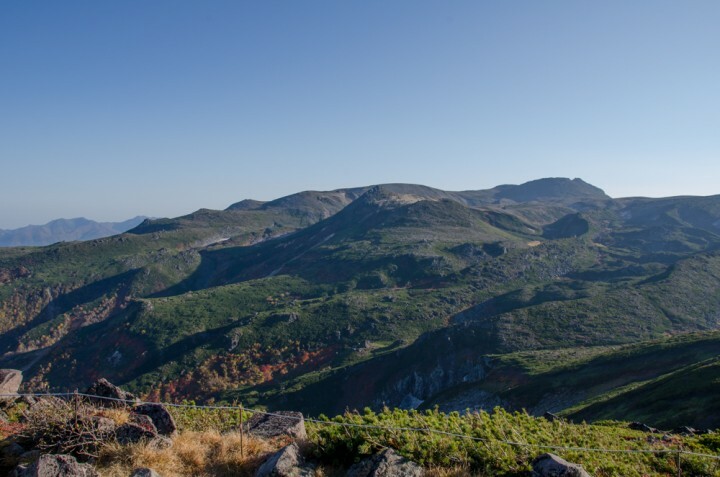 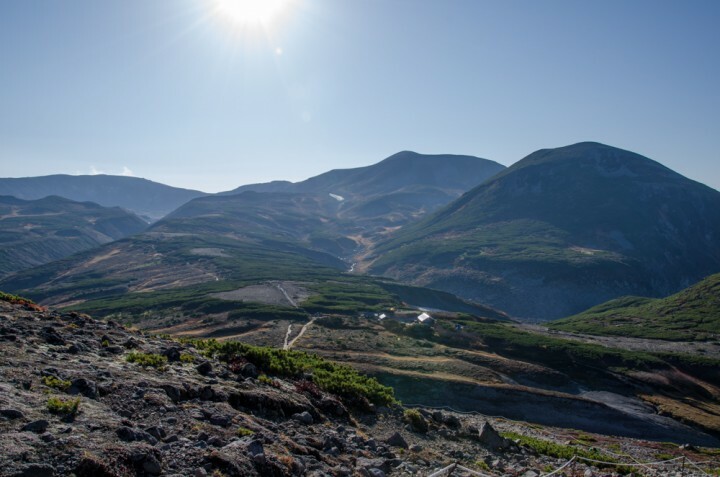 Mt.Kurodake is located in the area of Sounkyo hot spa. 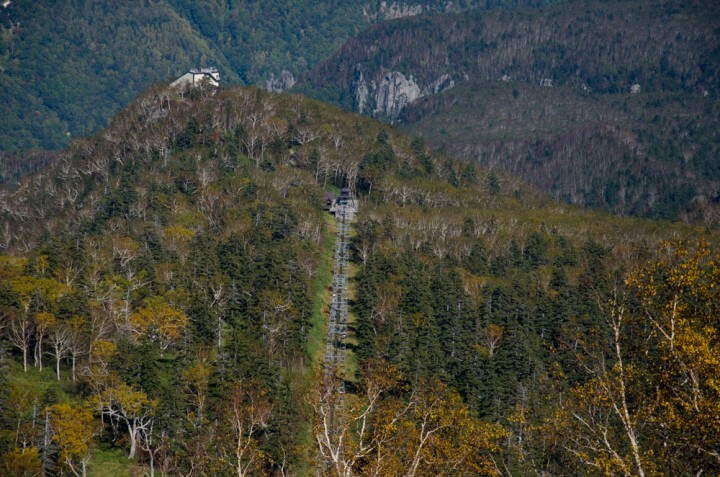 This is one of the most popular mountain for all seasons. 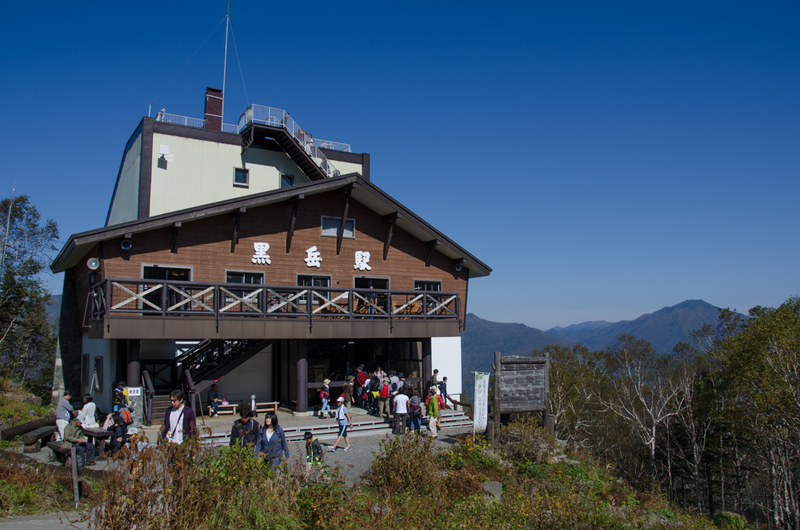 You can go to the fifth station by ropeway and chairlift and another 1 hour 20minutes walking to the peak. 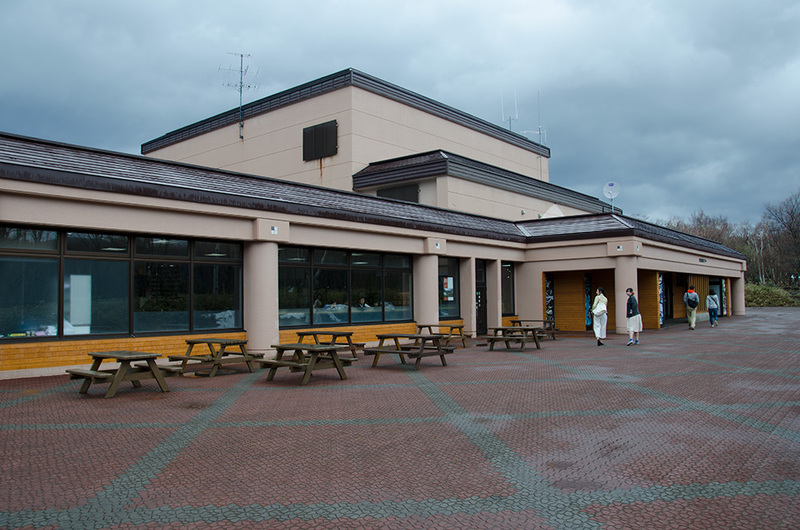 From Asahikawa, it takes 1 hour 30 minutes by car on route 39. 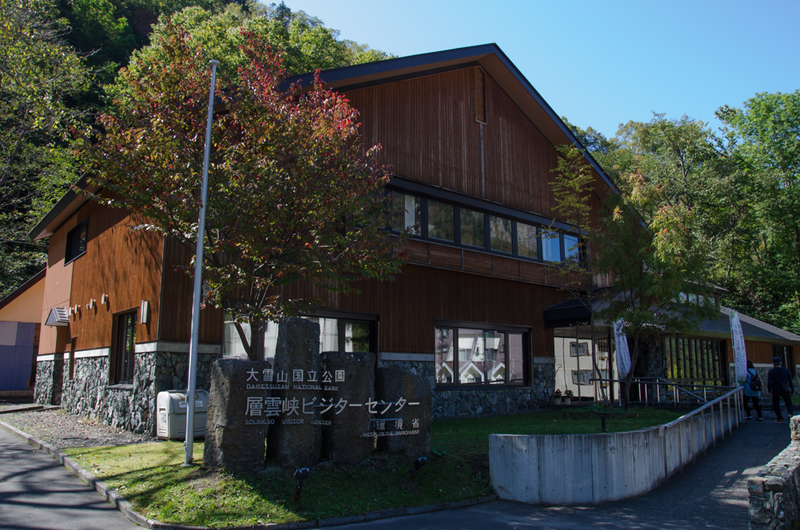 Sounkyo hot spa is one of the most famous one in Hokkaido, especially for beautiful scenery. 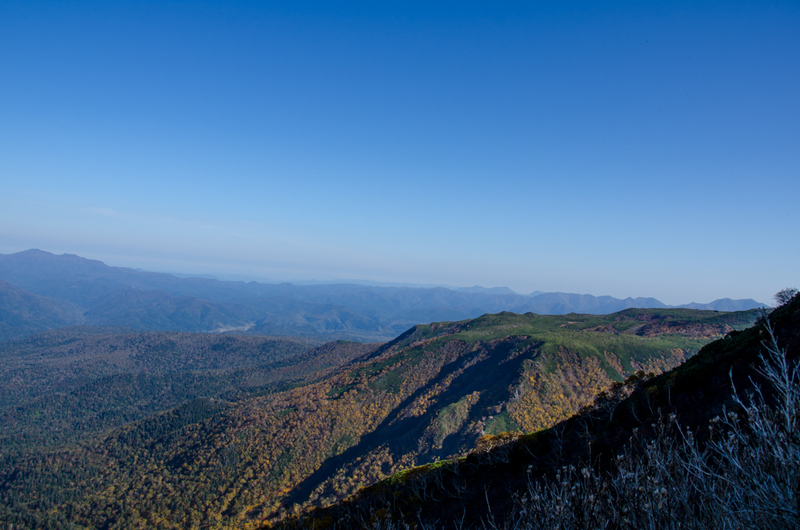 People would like to go seeing autumn leaves and climbing Mt.Kurodake. 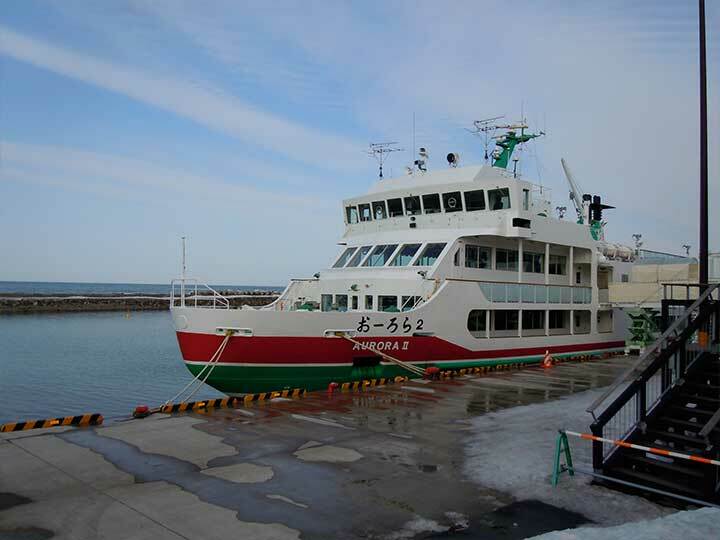 There are many cars and buses on the weekend so that you can’t park your car in the parking area. 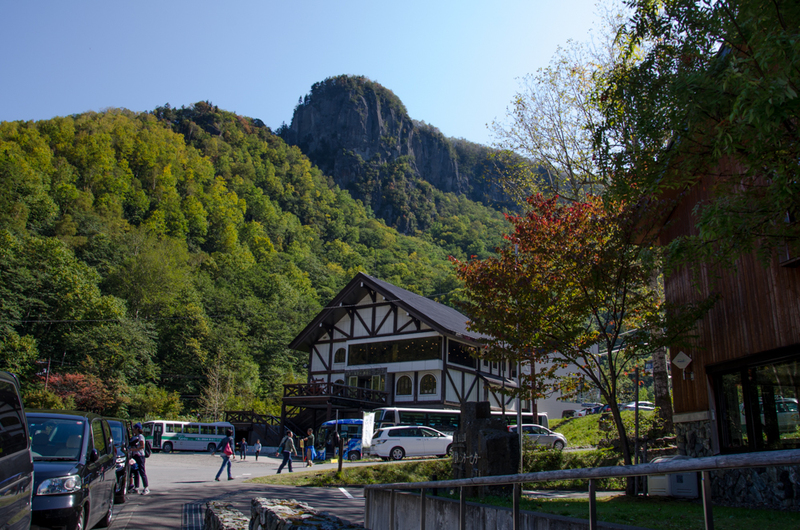 But don’t worry about that you may park on the rode side near the Ropeway station. 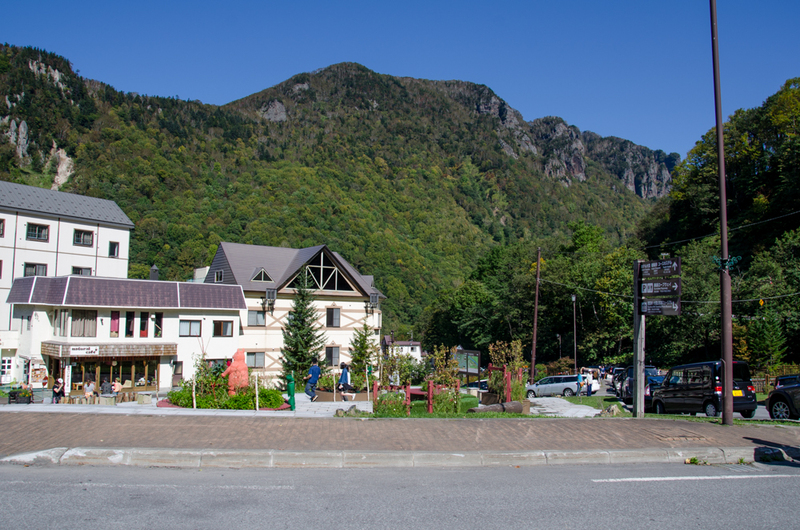 After climbing, why don’t you go hot spa? There are many Onsen Ryokans and hotels not only staying but also day hot spa. This is the Sounkyo visitor center where you can have several information about Daisetsuzan mountain range for climbing and hiking, off course , hot spas in this area. 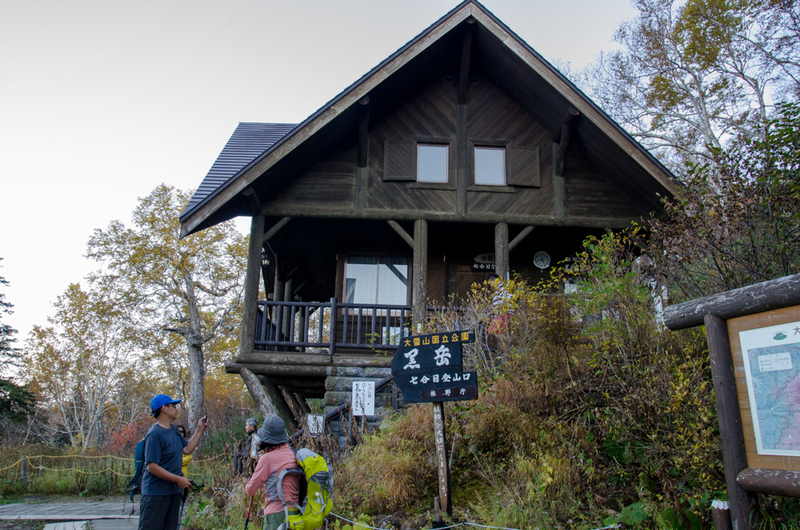 After 7 minutes riding ropeway, you will be in the fifth station called Mt.Kurodake station. You can transfer a chairlift for going to the sixth station. 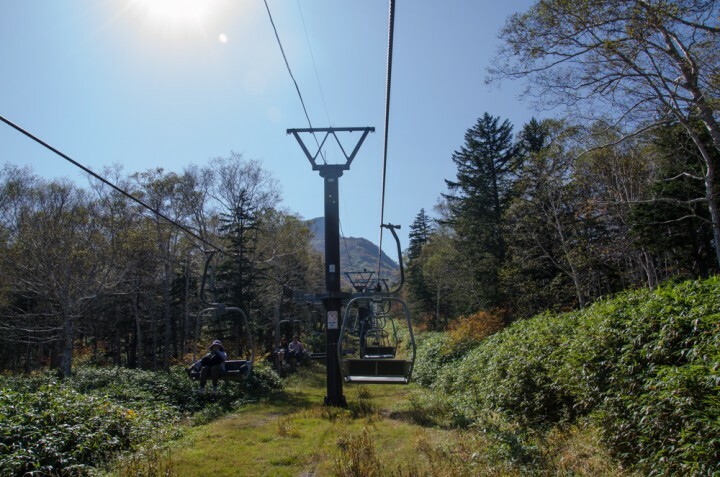 After 15 minutes riding chairlift, you will get to the sixth station. 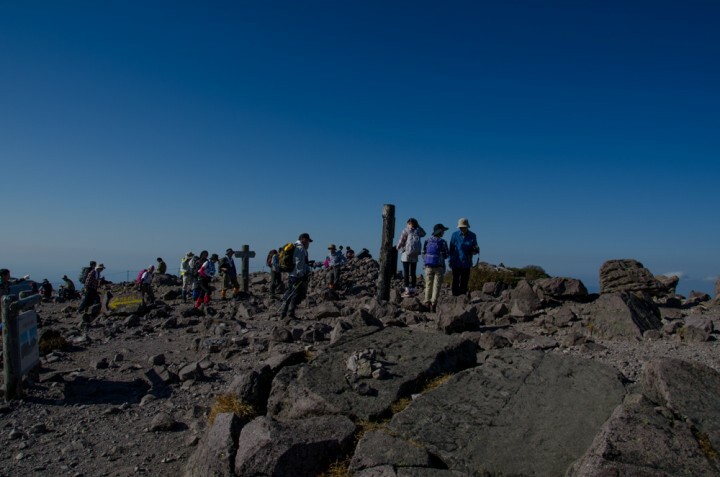 Another 80 minutes walking and climbing, you will see the beautiful scenery called ‘Kamui Mintara’. Kamui Mintara means the places and gardens for Gods playing in Ainu. This is the peak of Mt.Kurodake. 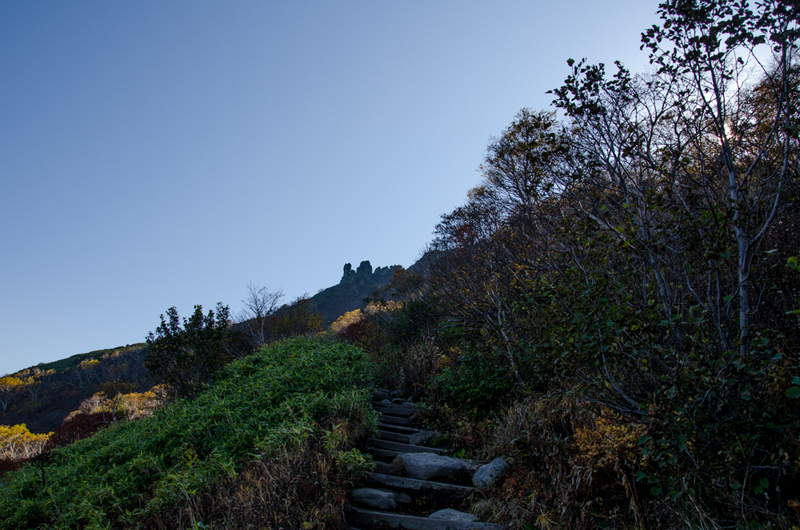 The route for Rock house and Mt.Asahidake or other mountains. 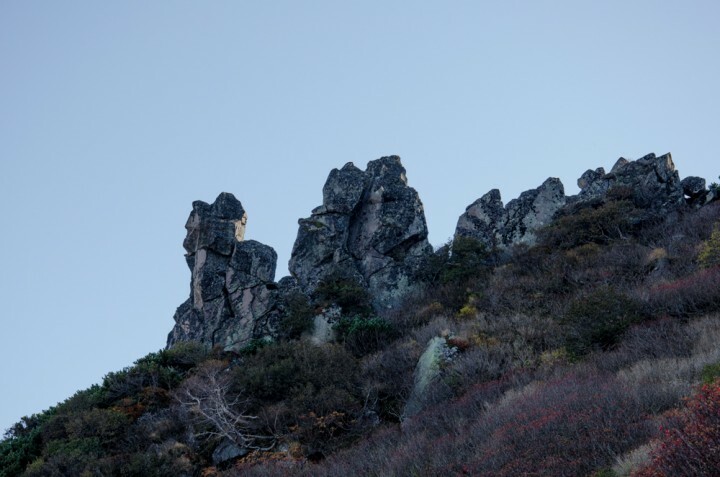 There is the rock house in the middle. 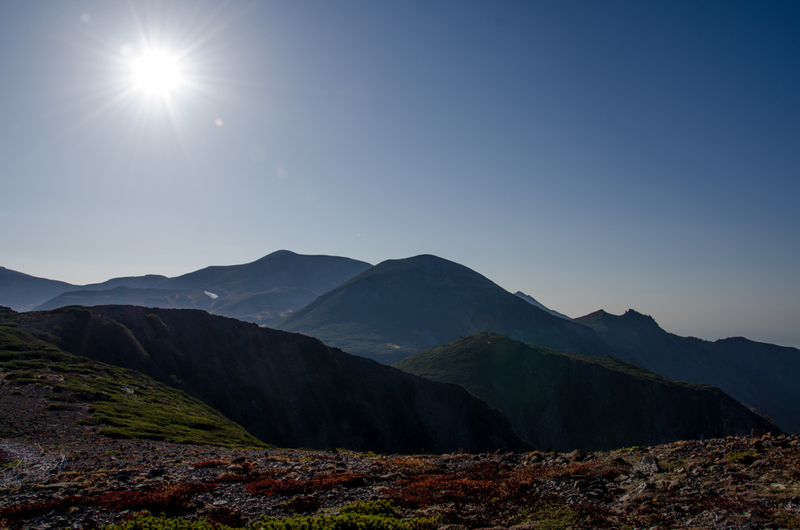 You can stay there for going other mountains such as Mt.Asahidake. Ainu says these place Kamui Mintara. 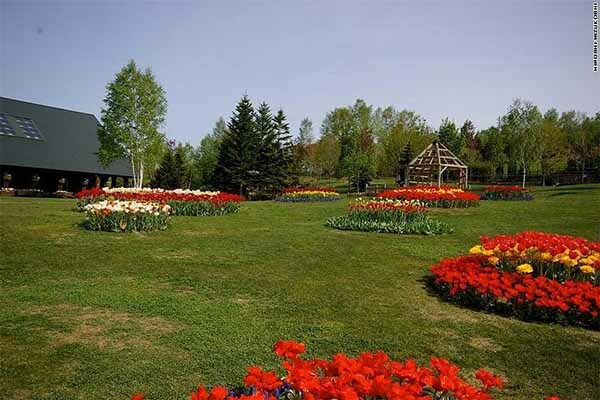 It is the vast garden where the gods live and play. Indeed, I agree with them.